Asymmetric Then there's the lore. West of Loathing takes place after a major magical disaster: the Day the Cows Came Home. Portals to hell turned the cows demonic, and great darkness spread across the West. 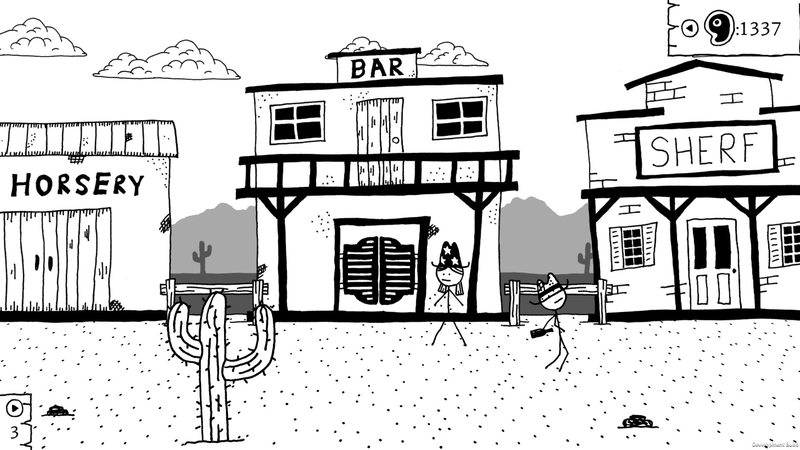 West of Loathing elicits this powerful emotional connection with stick figures. 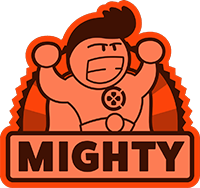 It bonds you to its world with nothing more than doodling and dialogue. 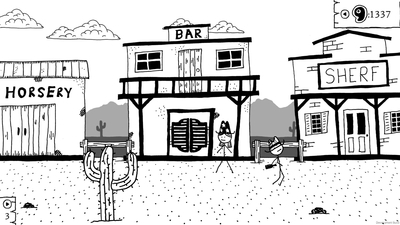 There's a pretty good turn-based adventure game there, under the hood, but West of Loathing's many strengths are all personal: connections made between developer and player when you both laugh at the same time. Absurdism aside, there's something fundamentally human and direct baked into the game's whole design from aesthetic to script. On top of it, you can dunk your hand into a spittoon of caustic toxins to pull out an enchanted sword. That's the kind of player choice I didn't even know I wanted in a Western RPG. 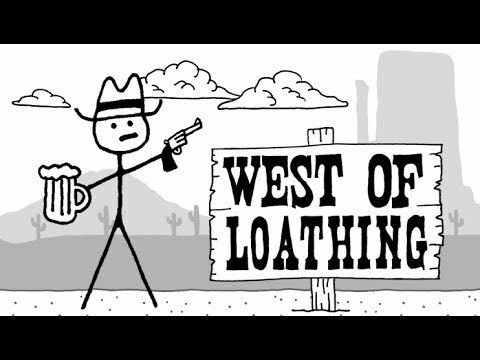 West of Loathing may not be perfect, but it never needed to be. What it gives us, instead, is one of the funniest goddamn games I've played all year. I may be a bit late to the party, but I'm really glad that I gave it a chance. Anything capable of making me smile this much is an absolute blessing. This is something truly special, and I can't wait to see what the developers at Asymmetric have in store for us next.